I am petrified of yeast..aah,I said it.It feels so good to share this with you people,no one else would quite understand it if I said this to them.I mean,how can anyone be scared of something which looks so..so..hmm,can't really say what.I have baked with yeast before,many a times but every time I am about to cook something with this star ingredient,I start getting nightmares[okay day-mares,since I cook in daylight],whether it will rise or not,whether it will lend a good texture to the baked product or whether it will fall flat on me. But sometimes,you let go of all inhibitions when something appeals to you strongly,very strongly in my case.Few days back,on a Sunday I was lurking around in Facebook when I saw Nags' status message saying she just tried these Garlic rolls from Suhaina's.That got me interesting and I hopped over to Suhaina's blog for the recipe and I should say I had the urge to try it right then.I checked my fridge for the Yeast sachets I got from Ekm last time and hoped the yeast wouldn't disappoint my enthusiasm. The recipe is easy peasy.Just mix everything together and bake.Yep,that's it.As the rolls were baking,the house was smelling so good and when I saw them puffing and browning so nicely my joy knew no bounds.Half of the rolls were finished as soon as they came out of the oven and half for dinner along with Broccoli soup.Only then did I realize i didn't take pictures,but wait-it just gave me the opportunity to bake it once more..yay! !Do give it a try!! 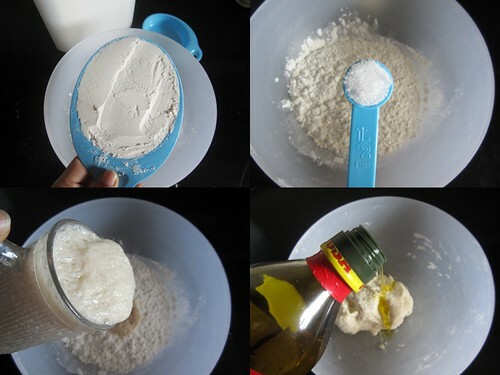 Mix together flour,salt and yeast mix till you get a slightly sticky dough. 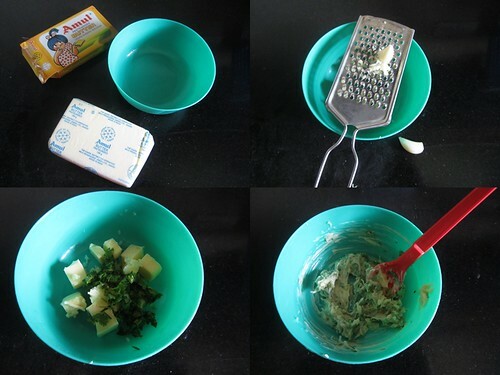 Meanwhile,mix together all the ingredients for the garlic spread and keep aside. Spread about one third of the garlic bread on one side. Cut the roll into half and further into two making it four rolls. (I rolled the dough from the long end and got 6 rolls out of one). Spread a little milk on the rolls and add the remaining garlic spread on top. Off this goes to Suma's Blog Anniversary event!! 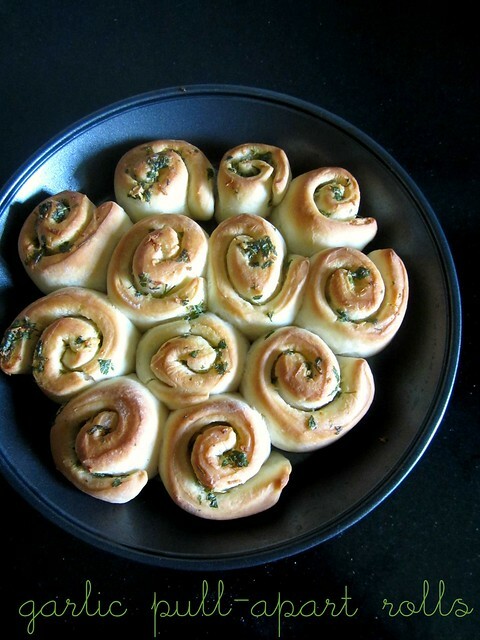 I dont bother to grab some, very tempting garlic rolls..
Dear Divya, these buns have become so popular in blogosphere and I am no exception to that, have tried various versions of these rolls and loved them all.Good to hear that u loved them too. wow.looks soooo wonderful.. it looks like u have filled some savory filling inside.drool.. it HAS COME OUT REALLY WELL.Wonderful clicks too.. 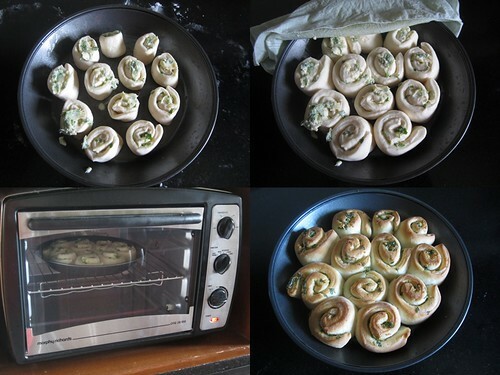 I am becoming famous.Thanks dear..
Suhaina,these rolls are so popular in my friends/family circle now and thanks to you,I am getting all the compliments! I too have this in my to do list for long time now,yummy! The rolls look cute and crisp. In my short list too. 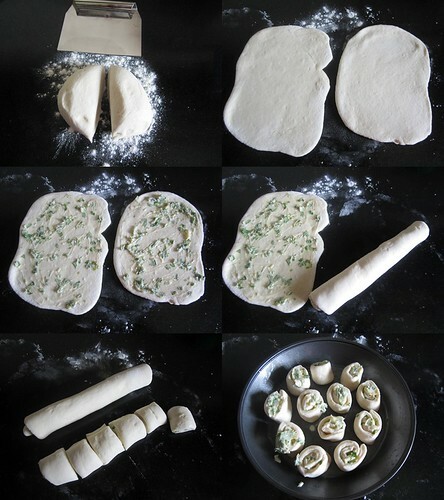 Looks so gud....I've tried this too but with wheat flour. I remember seeing them in Nags place too. And this looks yummy too. wow, they are mouth watering. Can you send me a couple please? 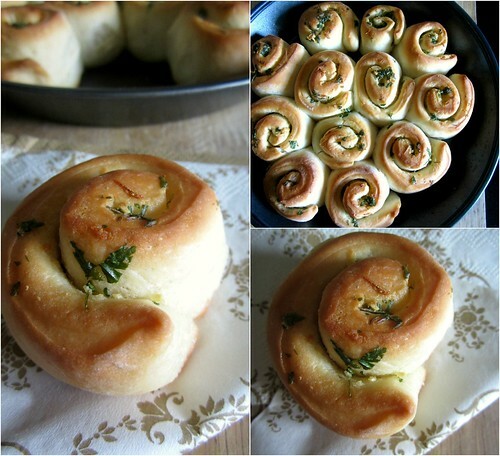 Mouth watering picture perfect rolls. they look so soft and perfect...oh why am I on a diet!!!!!! These are practically talking to me. What a joyful think to bake. And to eat, of course! I want to try them.. lets see.. If I am able to :P .. Love them.. they look so yummmmyyy...!!!! I have been a silent follower of your blog for a while now. Have tried many of your eggless cakes :) and they trned out soooo well. 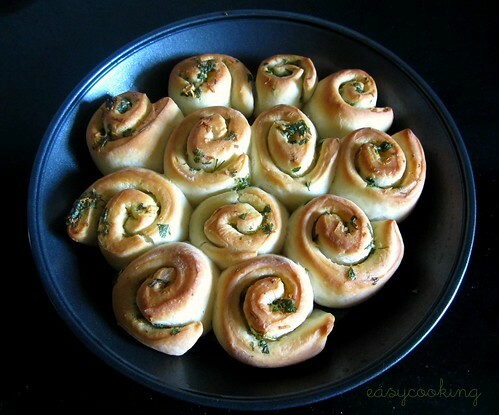 I baked these rolls just last week and though they tasted yummy, I did not get that browning on top :( . So look wise it was not much. Thanks Manju.Did you bake this in a Microwave Convection or OTG?If using MW,bake the rolls for the prescribed time,take it out and brush some melted butter on top.Bake again on the highest temperature for 2-3 minutes.You will get golden colour on top.If using OTG,use the broil mode for 2 minutes. I baked this one in my OTG and it browned evenly after the prescribed time. Thanks for taking the time out to reply :). I tried it in my LG Microwave's convention mode. Second time i left it for too long in the hopes of browning it, but they turned out hard like rusks :(. SO you mean i need to first bake it at 180 degrees for 20-25 minutes and then increase the temperature to highest (i think its arnd 250 in my oven), brush with melted butter and bake for an additional 2-3 minutes? Hi Divya, thanks for taking the time to reply :). I used my LG Microwave's conventional mode for baking this (and for all other bake's). Even tried a second batch, but i waited too long in the hope's of browning it that I ended with very hard one's that were similar to a rusk in their texture :( . Ok, so now you mean I should first bake them at 180 Deg. for 20 minutes, brish with melted butter, increase to the max temp (i think its arnd 250 Deg) and bake for an additional 2-3 minutes right? Yes,that's right Manjusha.Over baking can cause the baked good turn hard.So as I mentioned,just 2-3 minutes in high temperature should do the trick! Was this baked in ur microwave oven? ? I have baked this in the Microwave as well as OTG.The ones pictured above were baked in my Morphy Richards OTG. 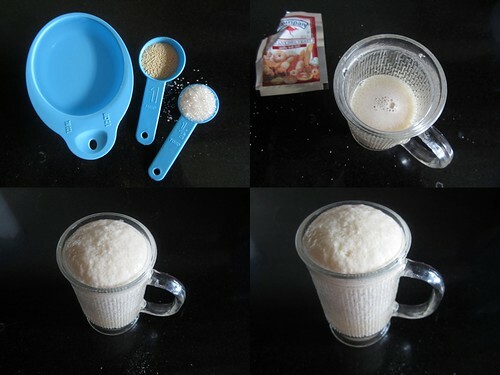 Divya as u mentioned tat u use Mauripan Yeast sachets..where do u buy it..as i was unable to get in my market..is it online..i tried searching online it said Rs.60 for 60gm..can i keep it longer if i bought more...or once open i have to use it within a month..please help as iam dyin to bake bread as ive juz bought an bajaj OTG..but unable to get hold of yeast anywhere..And please tell from where hav u bought all ur lovely pans..if online let me knw the site plzz...i stay in pune. I use whatever amount required and seal the pack using a rubber band and keep in an airtight container.You don't have to use it within an month,it has a longer shelf life.